Home Blog The NGB $10 and SprintQuip's Upgrade Plan explained. The NGB $10 and SprintQuip's Upgrade Plan explained. Wednesday the 20th of September 2017 marked the official release date of the new $10 banknote, following the release of the new $5 banknote in 2016.
Who was the first to see the new note? The new $10 banknote was first released to businesses who have a key input in the cash handling industry such as banks and CIT, along with businesses who manufacture cash counting machines to ensure they would be ready to handle the new $10 note. The new $10 banknote contains similar features to those in the new $5 banknote issued in 2016 such as the same security measures including a top-to-bottom clear window, complex holograms and areas only visible under UV light. Both also have a tactile measure to assist those who are visually impaired, with two bumps added on the long edges of the note next to the top to bottom window. Each banknote highlights a different species of native Australian and wattlebird. The new $10 note incorporates Australian illustrations such as a horseman, a billabong, and a homestead which dedicates to Banjo’s traditional poem ‘The Man from The Snowy River’. 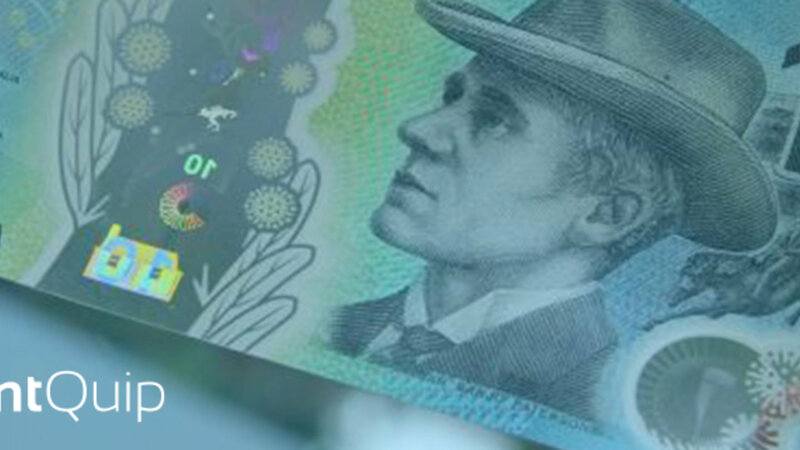 The new $10 banknote will also be the first with Governor Phillip Lowe’s signature on it. The reverse of the new $10 note retains the portraits of Dame Mary Gilmore, who was famous for publishing numerous volumes of prose and poetry, particularly focused on outback and rural themes and Andrew Barton (Banjo) Paterson who was a poet and Ballard writer of famous words in the poem ‘The Man from the Snowy River’. The new $10 banknote has increased security measures to detect counterfeit banknotes, there is a big transparent window, complex holograms and areas on the note that are only visible under a UV light to keep them safe and free from counterfeiting. Just in 2015/16 alone, 26,247 counterfeit notes were detected throughout Australia totaling $1,478,365.00. The RBA aimes at reducing these numbers drastically, thanks to the advanced security features this new series features. "The technology available to counterfeiters, like the technology generally in the community, is improving all the time. So we need to stay several steps ahead of the counterfeiters", RBA assistant governor Lindsay Boulton told the World Today. In the lead up to the release of the new $10 banknote, the Reserve Bank of Australia worked closely with cash handling businesses and machine manufacturers to make sure that the new banknotes could be used in a vast range of daily transactions across the country, in conjunction with machines that take or dispense banknotes. “The new notes contain the same world-leading security benefits as the $5 note, including a clear top-to-bottom window, and a tactile feature so that it can be recognised by vision-impaired members of the community,” Reserve Bank of Australia governor Philip Lowe said last month. SprintQuip’s rollout of the new NGB$10 upgrade to our cash handling solutions has been an ongoing project for the past 10 months. We have worked closely with our suppliers and team to ensure a timely and smooth transition to the second release. “With the release of the new NGB$5 last year, the project added a new concept to the way we deliver service to our customers; as to how we would complete so many upgrades in such a short time frame. Using lessons learned and applying continuous improvement strategies from the NGB$5 project, we managed to streamline the process, making the delivery of the NGB$10 much more effective and efficient. This process will continue throughout the outstanding upgrades providing our customers with a much more pleasing experience”, SprintQuip’s Regional Service Manager Stuart Grant commented. Using our extensive experience and knowledge of the industry we strategically planned out the upgrades as to whom would be most likely to have first-hand contact with the new $10 note such as banks and CIT. To date, the SprintQuip team have upgraded 2500 of their cash handling machines with only a few hundred to go, and are nearing the finish line with the team working endless hours to complete the project. The new $50 banknote will be the next note to be upgraded in the series and is expected to enter circulation in late 2018, with the remaining denominations to be released in subsequent years. If you haven’t already had your machine upgraded for the new $10 banknote please get in contact with one of our friendly sales executives today.